Motorists are being advised to drive with caution as temperatures drop this evening, Wicklow has been severely hit on Sunday after a fall of overnight snow. 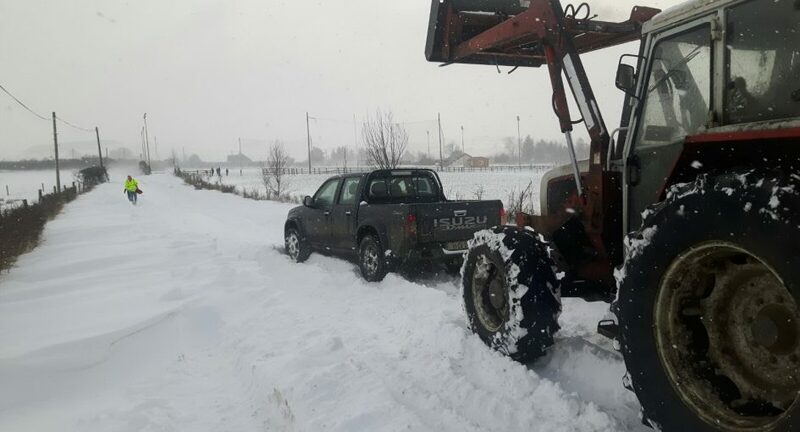 Gardai reported a number of traffic related incidents throughout the county due to the snowy conditions, luckily none were serious. Met Éireann has issued a Status Yellow snow-ice warning this evening for the entire country. This is in place until 10am tomorrow morning, and warns of very cold temperatures with icy patches and lying snow. Overnight lows of 0c to -5c will only hamper treacherous driving conditions on secondary roads and in housing estates. A partial thaw tomorrow afternoon will only further complicate matters with extremely low overnight temperatures tomorrow night into Tuesday morning. Tomorrow nights lows of -4c to -8c coupled with slush and melt water on road networks will make Tuesday mornings commute extremely challenging especially on rural and secondary road networks in eastern areas of Ireland. Sally Gap is impassable due to snow. DONT FORGET TO BRING PETS INDOORS AND CHECK ON THE ELDERLY.